Popcorn: Work 6 Dc Sts into same place, remove hook from loop, insert hook into top of first Dc in group, insert hook into empty loop, pull loop through to close so that popcorn is apparent on RS. Note: Use preferred method to change colors to taste. yep, i’ve joined the craftsy family!!! Read about my Craftsy trip, right here! My class is a lot of fun, no matter how long you’ve been crocheting! In Modern Crochet Afghans, Color & Texture, you get three beautifully crafted patterns! Each one is written in my favorite sizes so that you can easily make them for any occasion. View them all on Ravelry today, right here! Afghans are the first projects I learned to crochet, and they are some of my favorite to make. An afghan is something anyone can use, too: from a newborn baby, to your Grandfather at Christmastime, and even for the back of your sofa! This class is not just about afghans though! Texture and stitch definition are important, and I walk you through them for each design! Color placement can be tricky, so I give lots of resources to swatch out each design with ease. Also, when you use a lot of color, it’s hard to know the best ways to secure all those ends in ways that work and look good. I’ve got you covered for all this, and much more! I’ll walk you through tips and tutorials that have helped to make my crochet projects look and feel more polished and professional looking! When you take a Craftsy class, it’s just like we’re sitting together at my kitchen table, and we’re working up the designs together! It’s just like you’re taking a live workshop with me, and I’m there to help you make a project you’ll really love, and be proud of! You can get a HUGE discount on my class by clicking here today! Follow my LIVE CHATS on Facebook for my latest news and updates! My class is now live! Salena Baca Crochet Does Craftsy – 2016! I’m a crochet junkie. A feind. An obsessed soul. When I turned my obsession into a small business around 2010, I knew I needed a lot of help. So, I turned to the internet to see how I could stay home with my boy, and make this business work! About that same time, Craftsy launched, too! 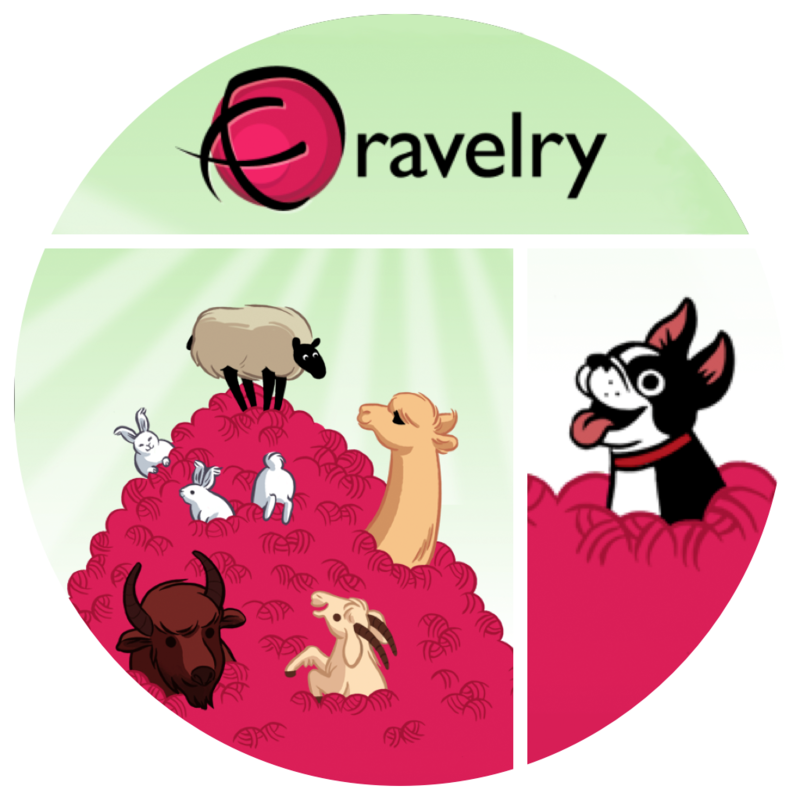 I remember following this bright, cheery, forum to see how it would evolve, and I even signed up with my very own craftsy store to sell crochet patterns. With every new crochet class, and the launch of each new crochet instructor, I remember trying harder, working more, and learning anything I could to hopefully be the next one who might be considered to teach. Remember, I am a junkie. I am obsessed, and this is my passion. I wanted to excel in any possible avenue the crochet community had to offer, and Craftsy offered something that I wanted to work toward: being a crochet instructor! I think I submitted my first class proposal to Craftsy in 2010, or 2011. It was a long process, and I did the best I could at the time. But, I did not receive a call. I really don’t blame them though! Looking back, I know I wasn’t ready. I wanted it, but I had a long way to go before I could earn an opportunity with them. I decided to continue networking, growing, and learning in the crochet world. In my eyes, for this to become a successful business, I needed to be an expert, and I needed some additional goals to reach. Every year that I’ve been in business, I’ve learned a bit more. I’ve grown a bit more. And, I make new friends and partnerships every day. Above all else, building my crochet education, and a strong crochet community, has felt like a huge success! helped to build Happily Hooked Magazine, The Crochet Cafe, Happy Crochet Hooks and the American Crochet Association. This felt right. It felt really good to be noticed for all the goals I’d been working to accomplish, and I finally felt like I was ready for Craftsy! I remember my first call with them where the course outline was discussed, and I was asked if it was an opportunity I wanted. I said that I had been a fan of Craftsy since their launch, and I already decided years before that should the opportunity ever come, I would say YES. My class is set to launch in the very near future, but I’m afraid I can’t share many more details right now! I did want to share my journey though; this career has been both the hardest job I’ve ever had, and the most gratifying. Follow my LIVE CHATS on Facebook for news and updates about this class! dc4tog: Double crochet 4 stitches together [yo, insert hook into next stitch, pull up a loop, yo, pull through two loops] x 4 (5 loops on hook), yo, pull through all 5 loops. Use preferred method to change colors to taste. Change colors after 2 complete rounds to model example square. Round 1 (RS): Ch 3 (counts as 1st dc, now and throughout), 3 dc in ring, [ch 6, 4 dc into ring] 3 times, ch 6, sl st to top of first dc to join —16 dc, 4 ch-6 spaces. Round 3: Sl st to first ch-3 space, Ch 3, 3 dc into space, [ch 6, 4 dc into next ch-3 space] 7 times, ch 6, sl st to top of first dc to join – 32 dc, 8 ch-6 spaces. Round 4: Ch 2, [dc4tog, ch 3, sc into ch-6 space, ch 3] 8 times, sl st to top of first dc4tog to join – 8 dc4tog clusters, 16 ch-3 spaces. Round 5: Sl st to first ch-3 space, ch 3, 3 dc into space, [ch 6, 4 dc into next ch-3 space] 15 times, ch 6, sl st to top of first dc to join – 64 dc, 16 ch-6 spaces. Round 6: Ch 2, [dc4tog, ch 3, sc into ch-6 space, ch 3] 16 times, sl st to top of first dc4tog to join – 16 dc4tog clusters, 32 ch-3 spaces. Round 7: Sl st to first ch-3 space, ch 3, 3 dc into space, [ch 6, 4dc into next ch-3 space, (ch 3, sc into next ch-3 space) 6 times, ch 3, 4 dc into next ch-3 space] 3 times, ch 6, 4dc into next ch-3 space, [ch 3, sc into next ch-3 space] 6 times, ch 3, sl st to first dc to join – 32 dc, 4 ch-6 spaces, 28 ch-3 spaces. Round 8: Ch 2, [dc4tog, ch 3, sc into ch-6 space, ch 3, dc 4 tog, (ch 3, sc into next ch-3 space) 7 times, ch 3] 4 times, sl st to first dc4tog to join – 8 dc4tog clusters, 40 ch-3 spaces. Round 9: Ch 1 (does not count as a st), [sc, ch 3] into each ch-3 space around, sl st to first sc to join – 40 sc, 40 ch-3 spaces. Round 10: Ch 3, (2 dc, ch 3, 3 dc) into first ch-3 space, [3 dc into following 9 ch-3 spaces, (3 dc, ch 3, 3 dc) into the next ch-3 space] 3 times, 3 dc into following 9 ch-3 spaces, sl st to first dc to join – 132 dc, 4 ch-3 spaces. Fasten.